Beckie Sawyers Obituary - Rising Sun, Maryland - R.T. Foard Funeral Home, P.A. 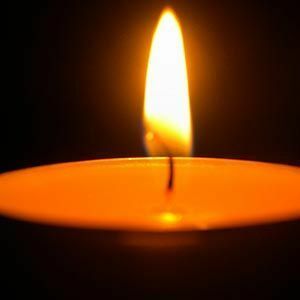 Beckie Jane Sawyers, age 81 of Rising Sun, MD passed away peacefully at home surrounded by family on Wednesday, April 3, 2019. She was born on September 20, 1937 to the late Harold and Ethel Hamilton. She is survived by her children: Dan Sawyers, Patty Orem (John), and Gene Sawyers (Brenda) all of Rising Sun, MD; four grandchildren; four great grandchildren; one sister, Pauline Hamilton (Hassel); as well as numerous extended family members and friends. In addition to her parents, Beckie was preceded in death by her husband, Eugene Sawyers, Sr.; sister, Jewel Sloan; and brother, Thomas Hamilton. Add your thoughts, prayers or a condolence to Beckie's guestbook. Please enhance this tribute to Beckie by adding your memories and photos.